Its one car that is recognized as ours because of its color. Drives on no-flat tires, low maintenance, saves on gas and easy to park, looks good and easy to spot because of the unusual color and that it is one of that kind when we bought it. . According to the dealer, it was the last one of its kind to be made by BMW as it is some sort of a vintage car. . . Good enough for the two of us. .
mini cooper convertible, fun to drive. I love that my car is small and fun to drive. I love to drive with the convertible top down when the weather is nice. It is also very low maintenance and cheap to drive. I wish that it had a little more trunk and back seat space. I also wish that it was easier to find repair shops that would do maintenance on it. 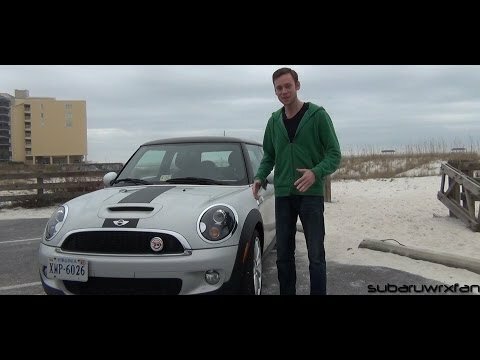 Mini cooper is a great buy! Reliable fun to drive car, with classic looks! Love the dual panoramic sunroof and sports seats. Great mpg. I get as high as 40 miles per gallon on the highway! Mini is a classic and reliable car, that comes with a great extended warranty. The cargo space is surprisingly big. Buy yourself a mini.